1. 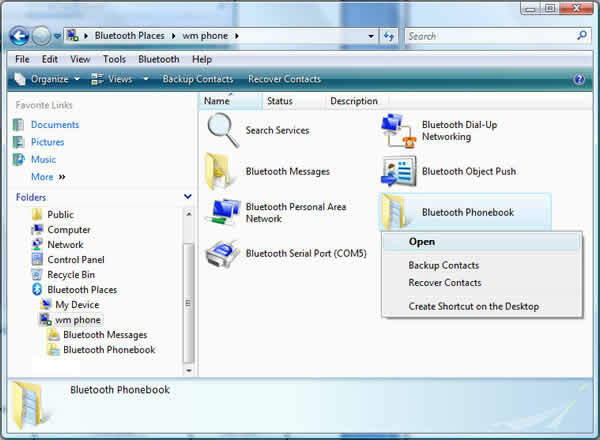 Install BlueSoleil PIM patch on your Windows mobile phone. a) Transfer the file to your phone. Send the file "C:\Program Files\IVT Corporation\BlueSoleil\Mobile\Symbian\IVT-wm(1.0.1).CAB" to your mobile phone. Note: You can also use MS ActiveSync to transfer the file to your phone. 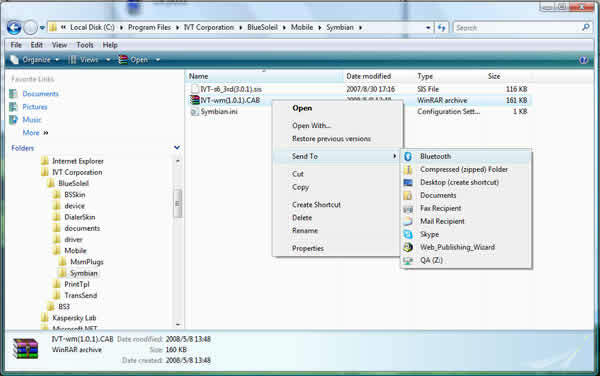 Open explorer on your mobile phone, click the file "IVT-wm(1.0.1).CAB" in "My Documents" folder to start installation. c) Power off phone and power on phone to start the PIM service. 3. 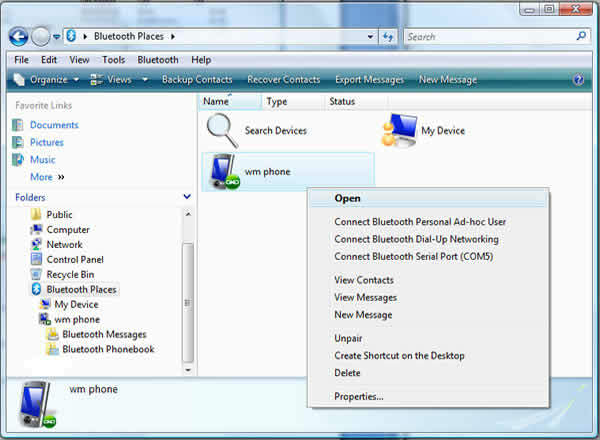 Open Bluetooth places on your computer. You can browse your phone for the contacts and SMS now.